Gyauustees was born on Vancouver Island and grew up in the Pacific Northwest. 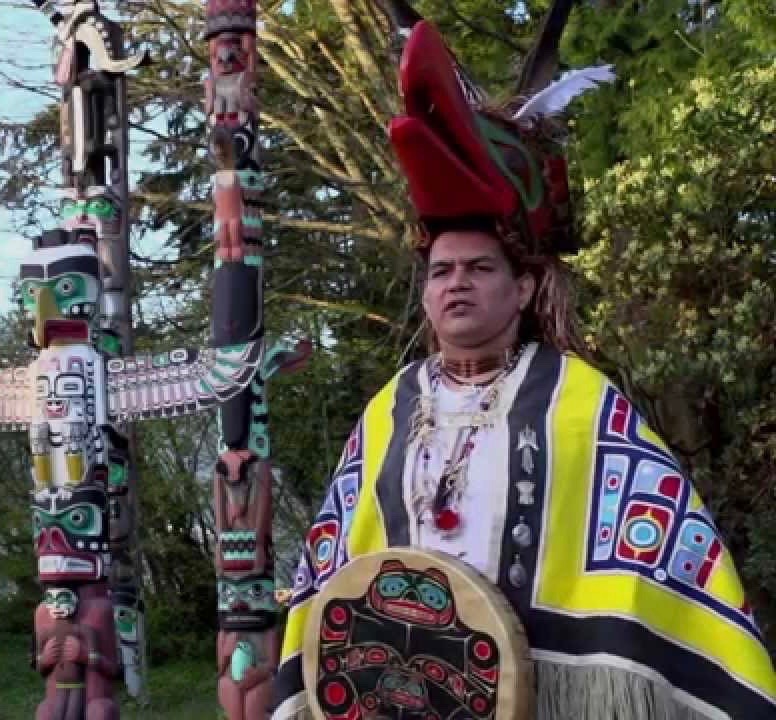 His heritage is Nuu-chah-nulth, Coast Salish, and Kwakwakawakw. He won his first contest for artwork in preschool and continues to excel with his artwork. Gyauustees carves masks, headdresses, boxes, paddles, sculptures, and "anything else there is to carve". He works with wood, antler, soapstone, alabaster, argillite, inlays of shell and precious metals, acrylic and oil paints. He began carving traditional Nuu-chah-nulth, Makah, Hesquiat, Salish, Squamish traditional styles as well as Kwakwakawakw potlatch masks and totem poles. In the last 20 years he has focused on developing art through spiritual ceremonies and medicines from the southwestern deserts and South American jungles. These experiences have expanded his creativity and his color senses. He utilizes and embraces the whole spectrum of the rainbow rather than just red, black, green and blue. As Medicine Chief and Roadman, Gyauustees travels extensively, conducting ceremonies and facilitating cultural activities. He also teaches and mentors other artists and has begun sharing through television, radio, music videos, movies and documentaries. His greatest passion is music and has recently released a DVD to share traditional songs of the tribal people. Click to view Gyauuatees' paintings.